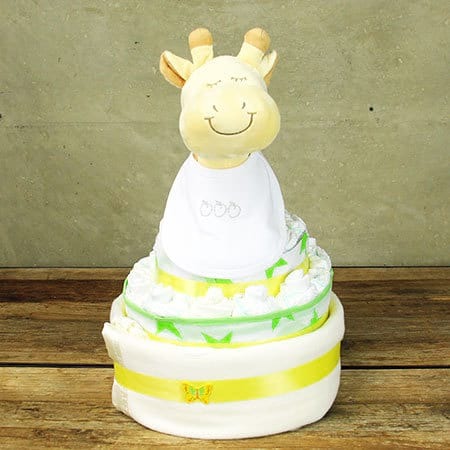 Our deluxe nappy cake is the ultimate baby gift! 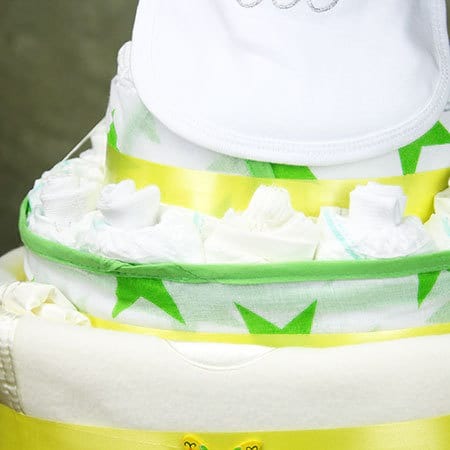 Designed to look like a multi-tiered cake, this fun gift incorporates a handy supply of Huggies newborn nappies, a cute soft toy for bub, and a variety of newborn clothing in cute lemony yellow, green and white. 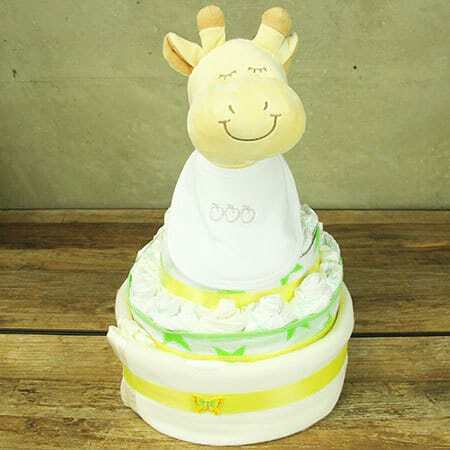 You can send our nappy cake just as it is, or add a bouquet of fresh flowers, a bottle of bubbly, balloons, chocolate and more! Like this baby hamper? Order your gift online now or give the team a call on 1800 66 66 46.